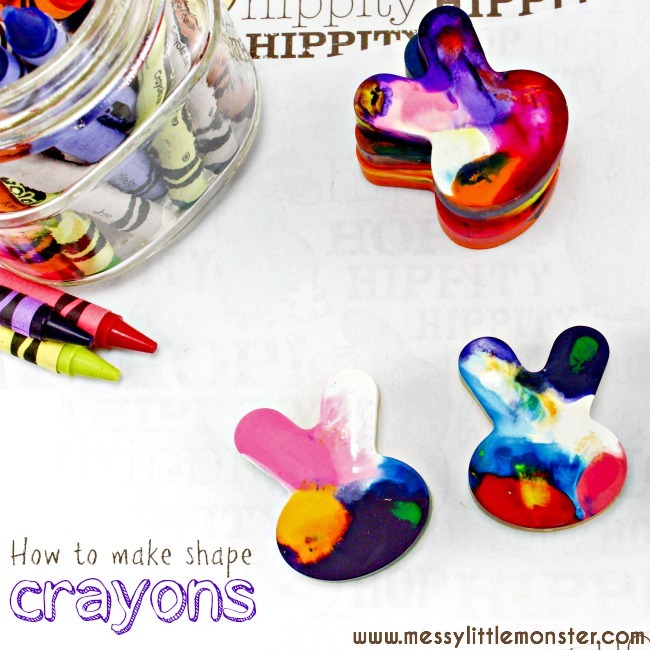 Recycle old broken crayons and turn them into fun shaped crayons at home by following our simple instructions. 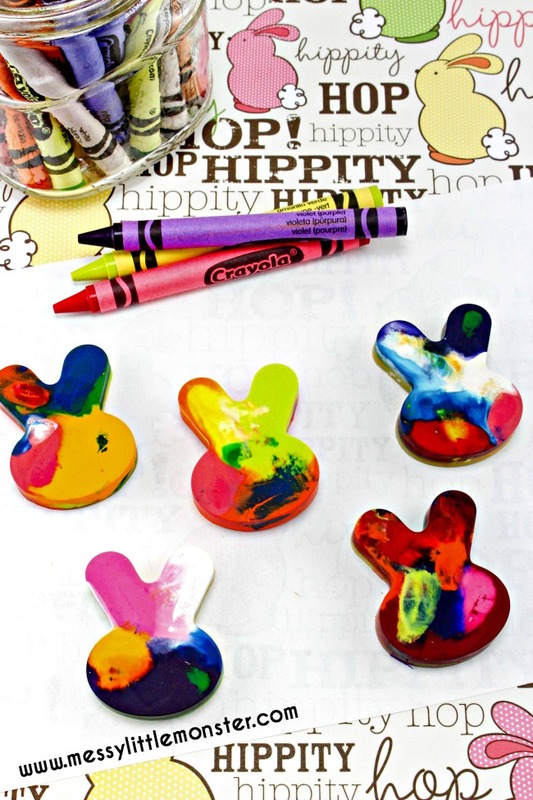 Homemade crayons make a fun gift idea for toddlers and preschoolers, as well as older kids. 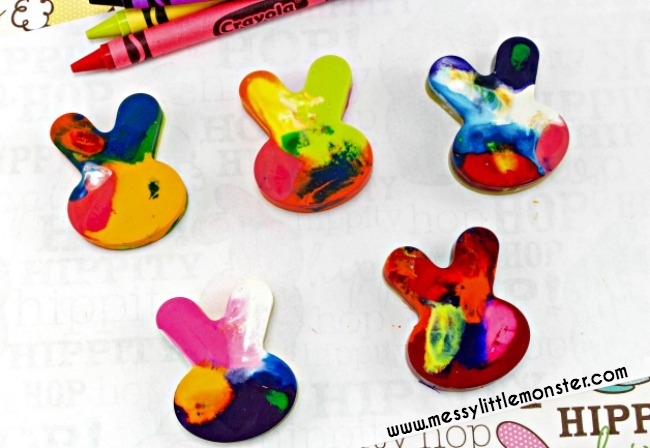 Today we are sharing some rainbow bunny themed crayons which are perfect for Easter time. Take a look at our fun gift ideas. 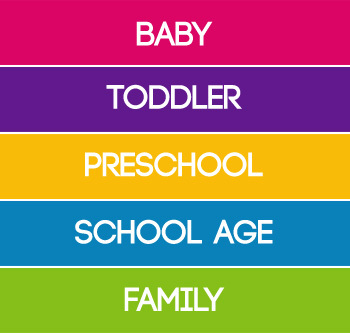 You will love our personalised keyrings, scribble mugs, bird feeders and story spoons. This weeks story for the virtual book club for kids is 'Knuffle Bunny' by Mo Willems. 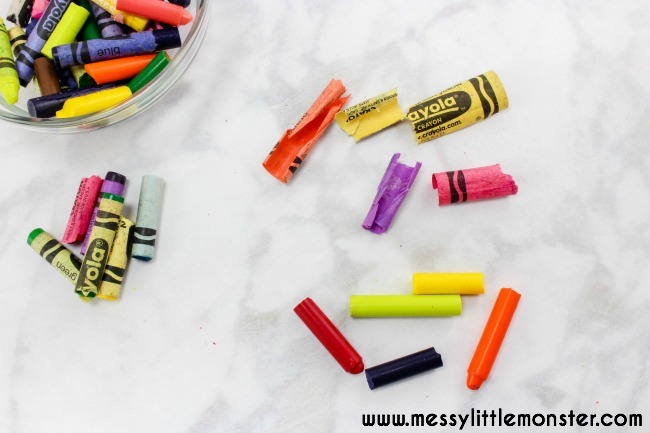 These homemade crayons would be fun to make after reading the story. 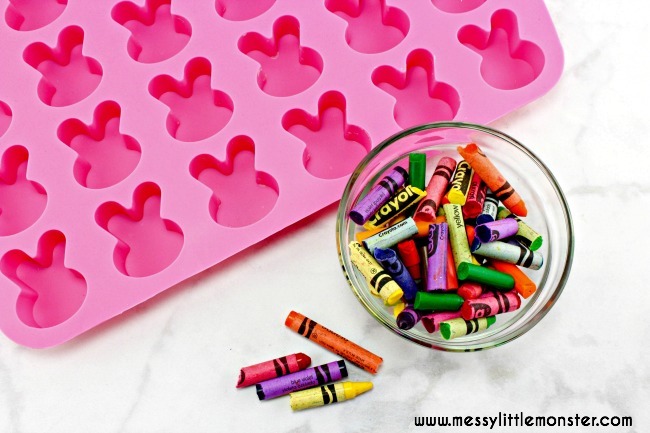 For more bunny themed activity ideas and a video of the story scroll down. 2. 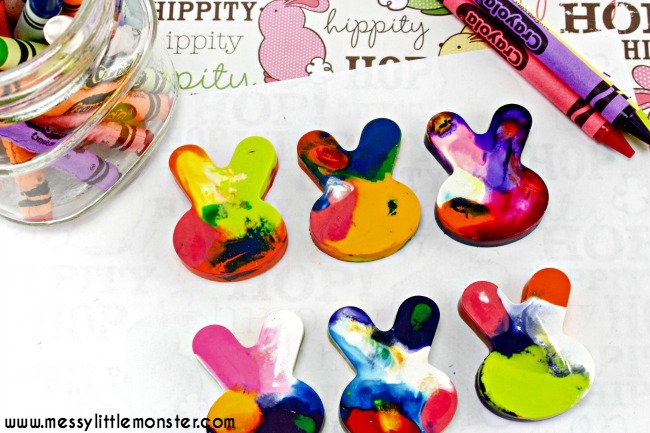 Peel the paper off the crayons and make sure they are broken into very small pieces. 3. 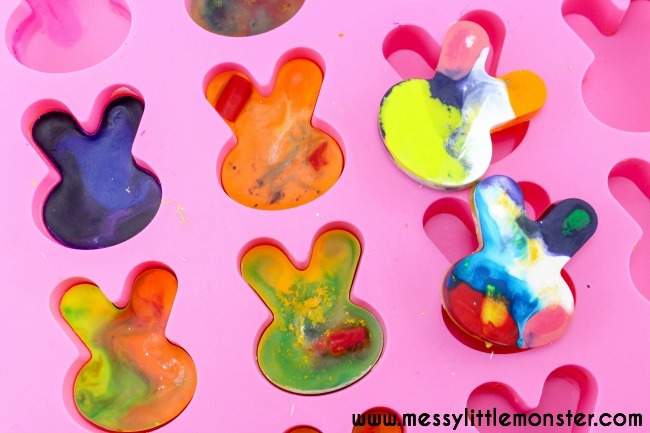 Fill each bunny mold with different colours, or your own colour choices. 4. Bake in the oven for 5-7 minutes until the crayons are completely melted. 5. 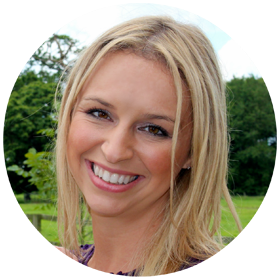 Remove from oven and let cool completely and pop out of moods. 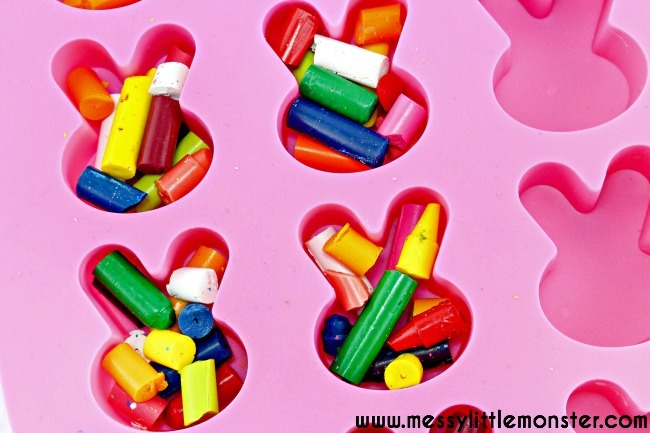 Experiment with different crayon colour combinations and try using different moulds. 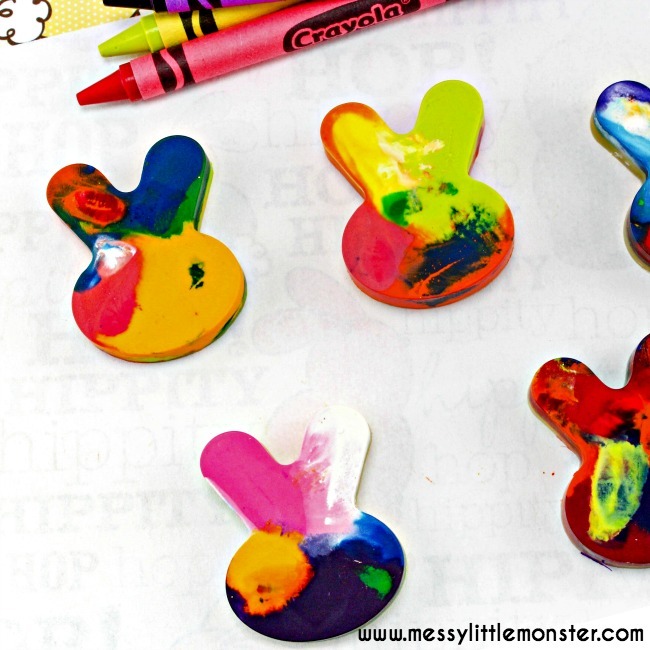 This is such a fun way of using up old crayons.